Disclosure: this is a sponsored post and I did receive a complimentary gift. Sponsored posts like this are what keeps me able to share my favorite companies with you! All opinions are my own as always! Thank you for your support! Talking about artwork today! 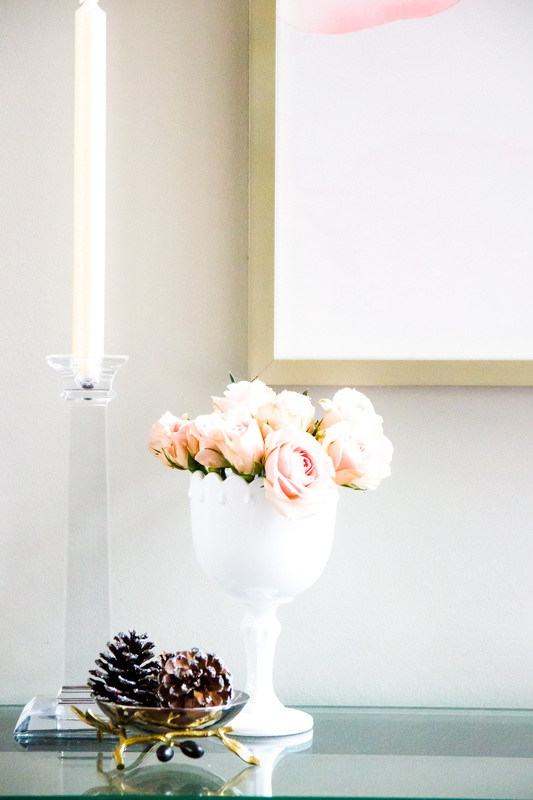 How do you find the perfect pieces for your home? Do they have a story? Meaning? Make you happy? When it comes to choosing what kind and size of artwork to get, I think about the entire room, not just the one wall. How do I want this piece to fit in? Will it be the focal point? Complement the decor? Etc. Artwork can be a very personal choice. One thing that grabs one person might have the opposite effect on another. I’m always happy to provide recommendations for pieces I love but I also have my client’s look at Minted on their own too. WHY shop Minted for artwork? SO many great reasons and here are just a few! Price points! The prices are affordable for great pieces. The variety of SIZE options and FRAMING options are incredible. Once you have decided on a piece that you love, you have a variety of options to choose from in terms of frame and size. This is HUGE for me as a designer because you aren’t limited to a certain size already. Also, the style of frames vary so no matter what space I am designing, I’ll find the perfect frame to complement the art. 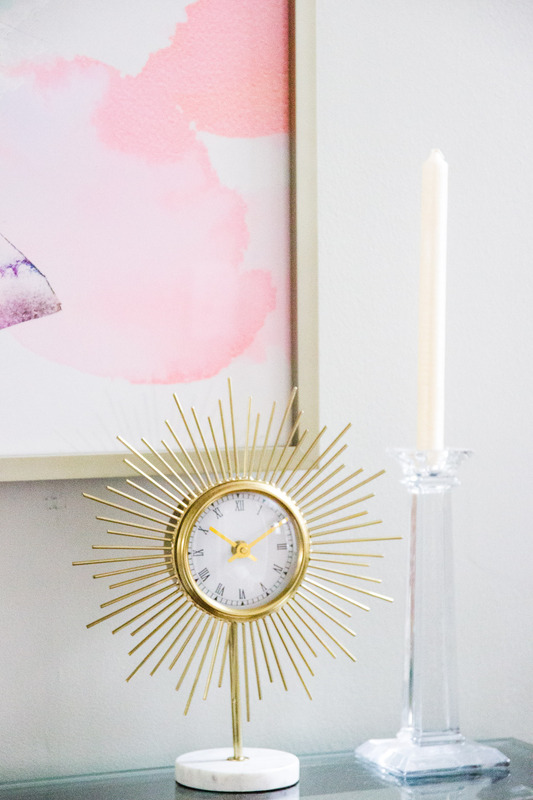 It’s easy to search their inventory to find a piece YOU love. You can easily narrow down the options! Are you looking for landscape or portrait? Abstract, photography, mixed media, etc. You can even then narrow the options down by color. 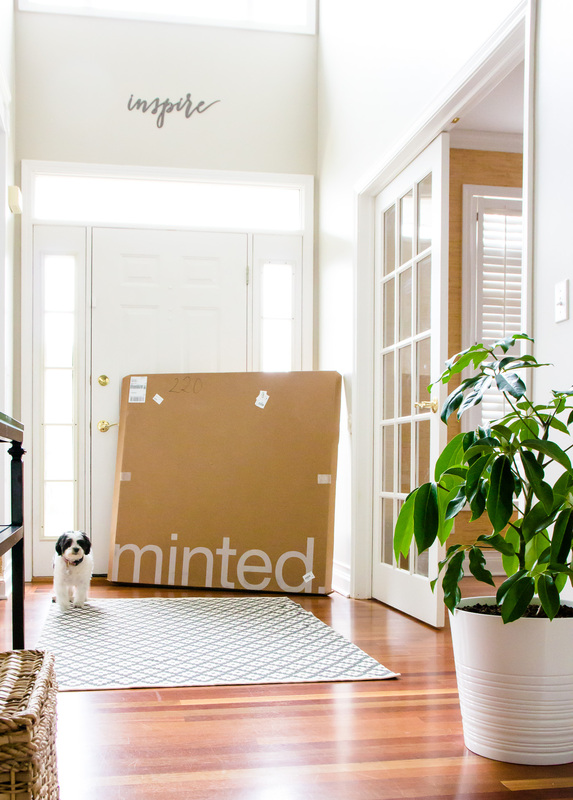 Another reason is that Minted supports independent artists and those artists can get discovered through their website. I love discovering new artists and this is a great platform for it. 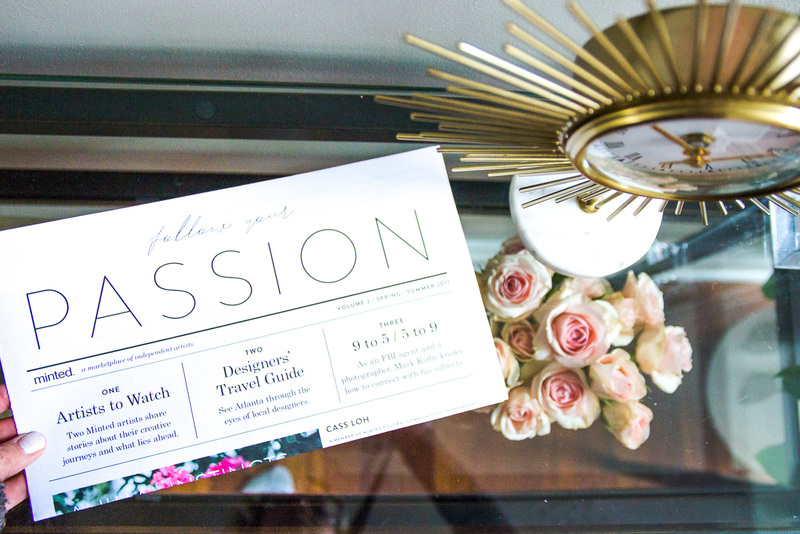 There are so many amazing, talented people you will find on Minted! 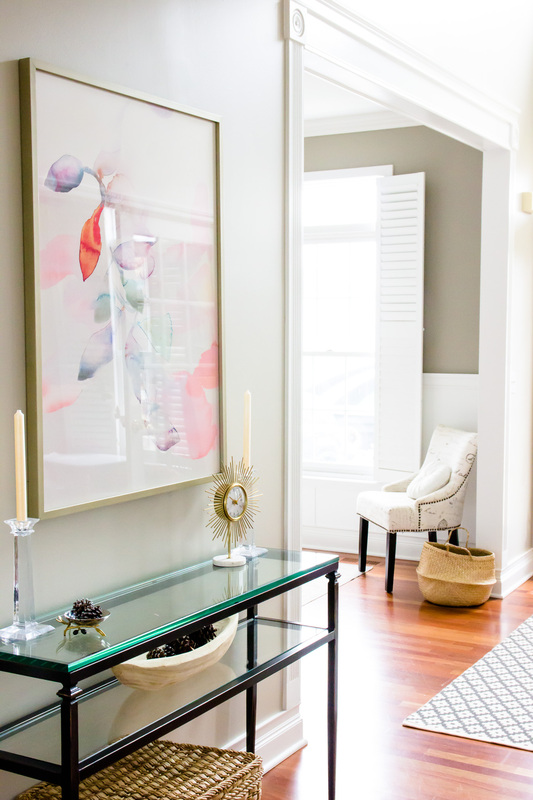 They also have a service that will help you will gallery walls! These can be so tricky and if you aren’t working with a designer already, I highly recommend taking advantage of this service!! It can be so easy to mess up gallery walls. And who wants to be stuck with a bunch of extra nail holes in the walls? They can help you pick out artwork and give you a guide on how to hang the pieces. Details of the Champagne Silver Frame – it is gorgeous in person! I’ll be honest, I originally bought this piece for my dining room and then realized it fits so much better where we moved it. We don’t spend very much time in our dining room and I really wanted to enjoy this piece as often as possible. The beauty of this piece is that it can be hung vertically or horizontally. 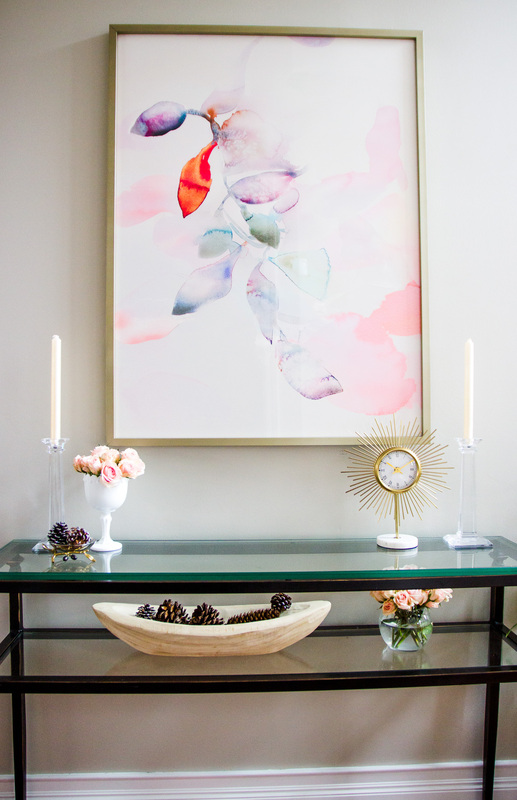 A lot of abstract pieces are the same way so keep this in mind while shopping! We do spend a lot of time in our living room and you can see this perfectly from the sofa! We are also always passing through this spot from the entry, to the basement and the office so it’s perfect here. I do want to switch out this table now too but that is going to have to wait a little while! Since I am constantly moving things around in my house, this piece fits in just perfectly already! 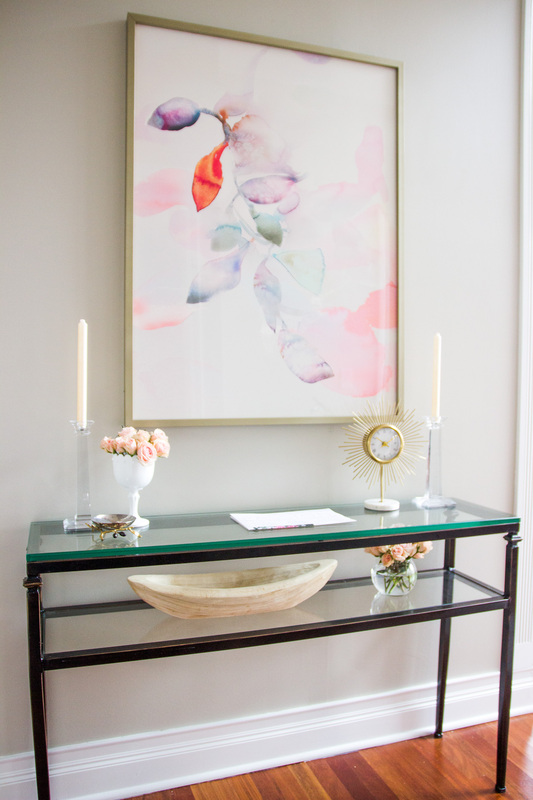 I love seeing artwork in homes that seems to complete the room or have a special meaning. 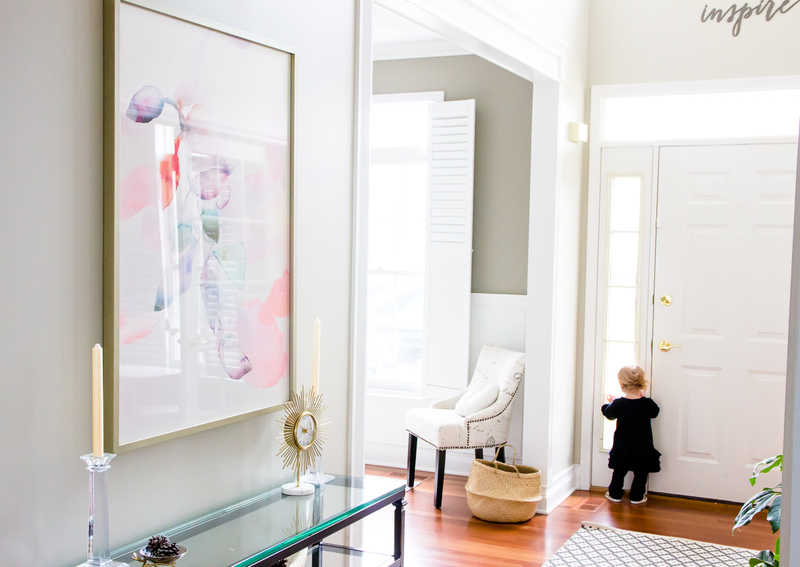 This piece flows nicely in our home and is versatile enough where we can move it easily. The Foliage Trails 2 Art Print that we chose from Minted is abstract and pretty which means I will be able to use it in multiple places in our house. I love the soft pastel colors and that is it feminine, but not too girly. Another one of my favorite abstract pieces is called Monday Blues. It has beautiful blue shades and was inspired by a midwest snowfall. It reminds me of the sky and ocean but either way it is a beautiful piece! Now I am heading back over to Minted.com to order our HOLIDAY CARDS too!! Minted is also my go-to place for holiday cards 🙂 They have SO many great options every year. Now I just have to narrow down our photo and card. PS. Our cards this will be extra special this year so stay tuned! !